It was 20 years gone after Linus Torvalds posted his hobby project, the linux kernal to the world. Through all these 20 years linux grown from a hobby project to industry changing Operating system with GNU. Now it is everywhere. In Supercomputers, Desktops, Embedded systems, satelites, mobile phones everywhere. around 85% of webservers are ruled by Linux. Also it works with governments, restaurents, airlines etc…Check 50 places where linux running successfully. 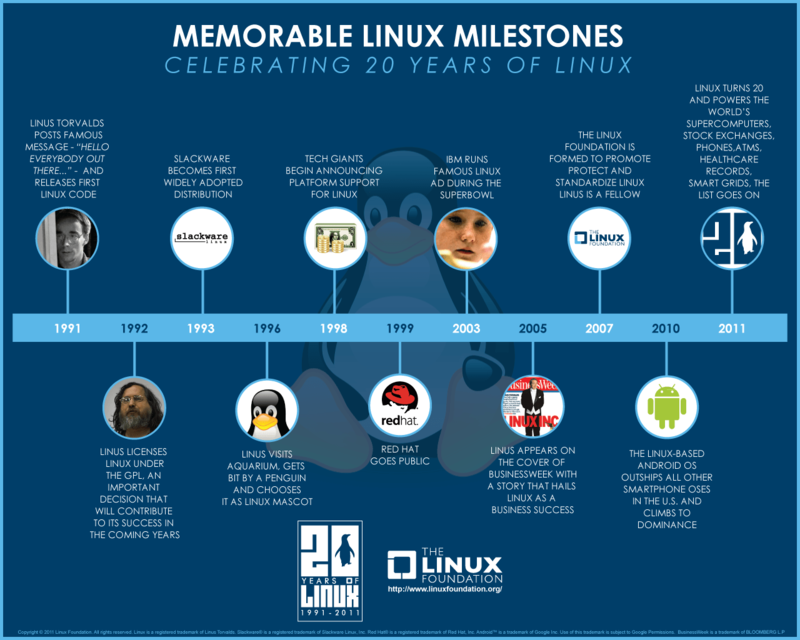 From The Dorm Room To Your Smartphone: The Incredible 20-Year Story of Linux.